ZARPAX Bag needs no refills. It can be conveniently regenerated in the microwave oven at ± 600 Watts and the retained moisture will hygienically evaporate from the ZARPAX bag. An innovative, humidity indicator will tell you when it is time to regenerate your ZARPAX Bag. 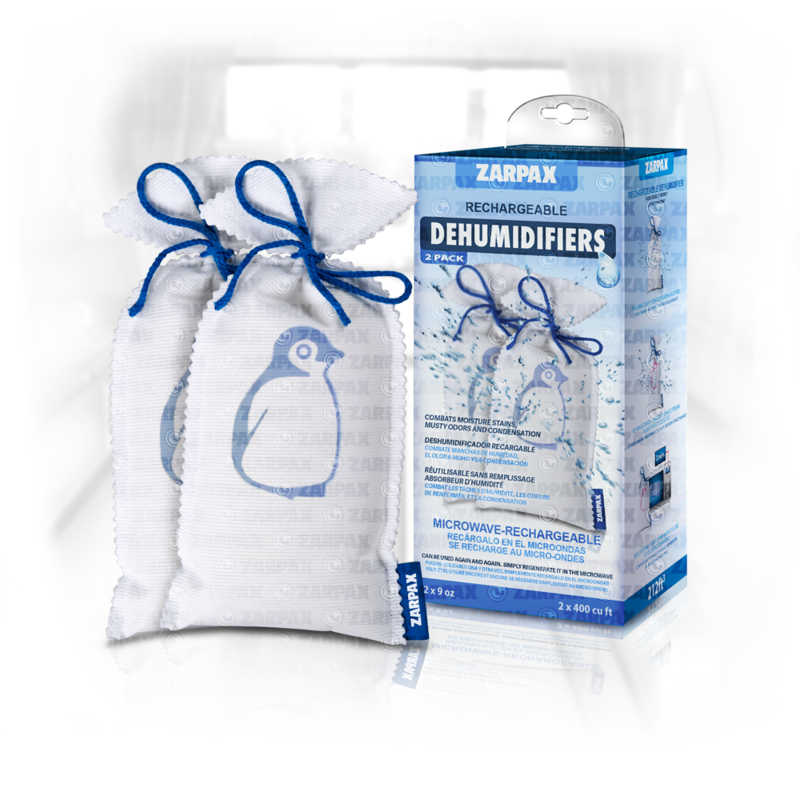 Developed to protect your home, car and boat from humidity, ZARPAX Reusable 250g is a perfect combatant against excess moisture, preventing it from causing bad odors and other moisture related problems. 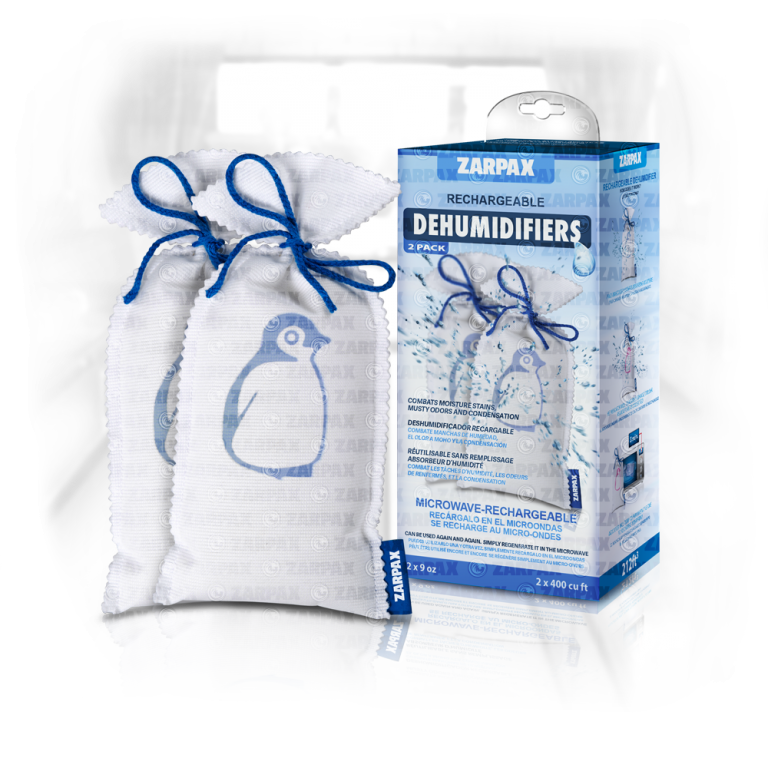 At the same time, the ZARPAX is reusable and has a convenient humidity indicator. This way you can ensure that even places with no ventilation at all are kept fresh – odor and moisture free.